Google’s education tour for businesses has been making stops across the country, and it’s landing in St. John’s, Newfoundland next. The ‘Grow with Google’ initiative is a free one-day event that aims to teach Canadian business owners how to market their company online. The goal is to help business owners wrap their heads around how to promote their company online using Google’s services. Attendees learn how to set up a ‘Google My Business Profile,’ which helps them get discovered on Search and Maps. Along with that, people will learn to use Google’s Analytics, Slides, email and spreadsheets. There will be four Google led workshops, a bunch of ‘one-on-one coaching sessions’ and some ‘hands-on help’ for all of the expected 400 to 500 guests. The event is at the Emera Innovation Exchange at Memorial University’s Signal Hill Campus on Friday, November 2nd, and it opens at 10:00 am. 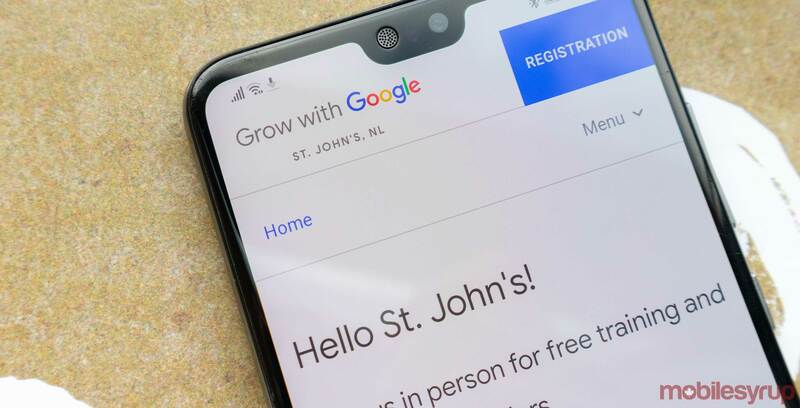 To register for the event and learn more about Google’s local partners in St. John’s visit the registration page here.